The Basic Electricity and Electronics textbook covers basic, non mathematical approach to understanding principles of electricity. Introduces electron theory, static electricity, electrons in motion, and magnetism. 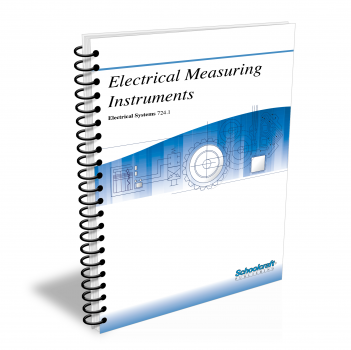 Covers basic methods of measuring current, voltage, and resistance. Explains circuit components-conductors, insulators, resistors, capacitors-and simple Ohm's Law calculations for DC and AC circuits. Does your curriculum require additional topics not included in this textbook? Build a customized version of the Basic Electricity and Electronics textbook below. Tell the difference between a compound and an element. Explain how electrical forces cause objects to attract or repel other objects. State the definition of a cell. List the conditions that must exist in order for static electricity to cause ignition. List the common causes of static electricity in an industrial plant. State the definition of bonding. Explain how liquid affects a static charge. State the definition of grounding. Explain the relationship between humidity and static electricity. List the main methods of producing potential difference. State the main difference between a primary cell and a secondary cell. Explain how to connect cells in parallel and in series. Describe how a photoelectric device works. Identify potential hazards when recharging batteries. State the most basic law of magnetic force. Describe how magnetic force operates. Describe the left-hand rule for magnetic field direction. Explain how to use lifting magnets, magnetic pulleys, and magnetic clocks. State the characteristics of an electrical conductor and an electrical insulator. State the definition of electric current. Explain the relationship of potential difference to the flow of electric current. State the definition of Ohm's Law. Identify the purpose and parts of an ammeter. Identify symbols for resistors, capacitors, and relays in an electric circuit diagram. Explain the operating principles of resistors, capacitors, and inductors. State the meaning of each band in the resistor color-code system. List the factors to consider when choosing a resistor. Explain how to connect capacitors in parallel and in series. Explain the difference between a conductor and an insulator. Identify a bare conductor, a covered conductor, an insulated conductor, a stranded conductor, a cable, and a cord. State the definitions of insulation resistance and dielectric strength. 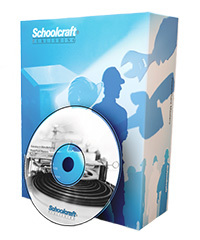 Select the best tapes for insulating splices, restoring the outer protecting covering on a splice, and connecting motor leads. Explain how to make a pigtail splice and a fixture splice. State the purposes of cable protection. State the difference between ac and dc. Solve for R, E, I, and P in a simple electrical problem. Solve for potential difference, current, and resistance in a series and parallel circuit. Explain the importance of the transformer in ac electricity. Explain what a complete cycle of ac consists of and how it is produced. State the definition of ac inductance. List the ways inductive reactance differs from resistance. Explain the difference between the terms in-phase and out-of-phase in an ac circuit. Name the parts of a vacuum tube, and describe the function of each part. Explain the difference between p-type semiconductor materials and n-type semiconductor material. List the parts of a transistor. State the definition of an integrated circuit.